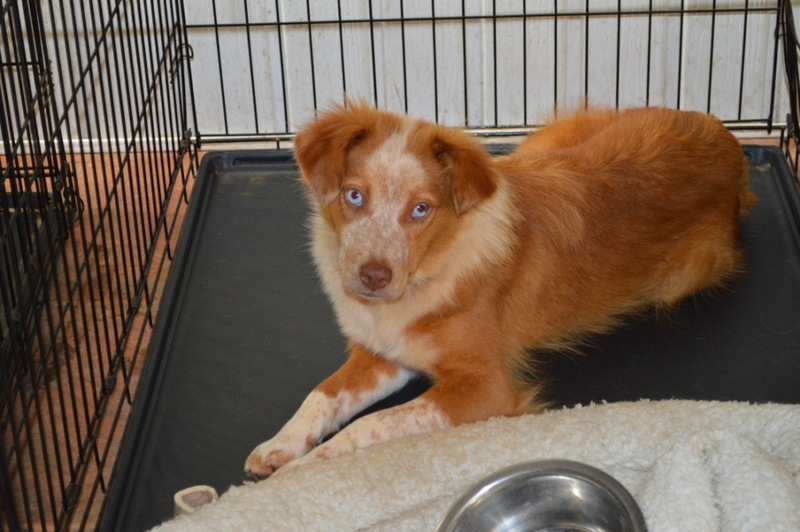 When we first saw Ginger Doodle (now known as Spec) on TDL’s site, we were hooked – I mean look at those sweet blue eyes! 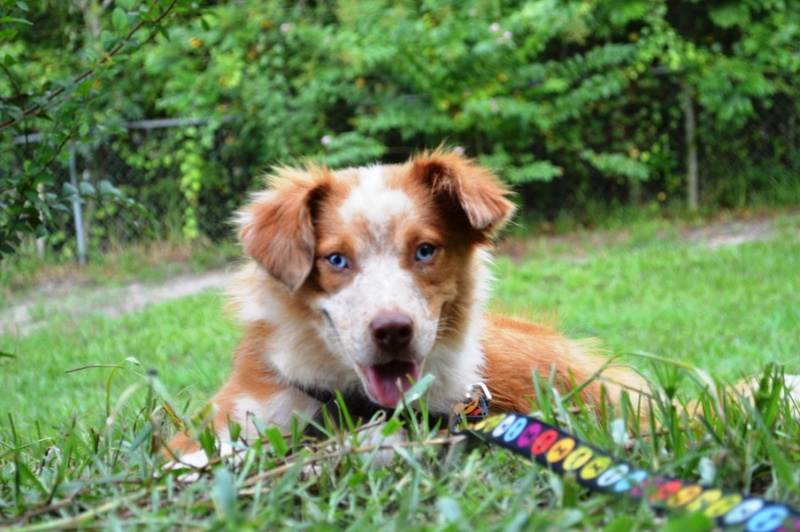 We had been looking to rescue for several years, and found Spec (a Deaf Mini Aussie) to be the perfect fit for us. I work from home, and she has become my best coworker. We usually spend all day together, and she gets me up and away from the computer for walks and fresh air. She is the perfect companion as she can usually be found sound asleep, curled up on her bed. The hard part comes in when I have to leave the house. We initially bought a crate and “conditioned” her for weeks – only feeding her in the crate, petting her in there, leaving for 5-10 minutes, etc. After a few weeks we both decided to leave the house while she was crated. We are fortunate enough to have webcams set up around our house (we use a free webcast program) so we can watch her from our phones while we are away. Thank goodness for the cameras, because the first time we left she was barking, howling, biting, and thrashing against the cage within minutes. When I got home it was plain to see that both physical and psychological damage had been done. I never wanted to leave her again – but I knew that I would have to get out of the house eventually! Enter big bills on sprays, treats, jackets, toys, and our dog behaviorist. We started on a budget, ordering Composure Treats and a Thundershirt . We also stopped by the pet store and grabbed a phermone releasing plug in type device that they recommended. After about a month of conditioning her to the Thundershirt and trying the treats, we started to see an improvement. Because we wanted to be sure we were doing everything right, we contacted a behaviorist for a single session to work on her separation anxiety. The behaviorist (Paul Pipitone) we used had our dog sitting in the crate (while we pretended to leave) within minutes! I was totally hooked and wanted to learn everything he had to share. 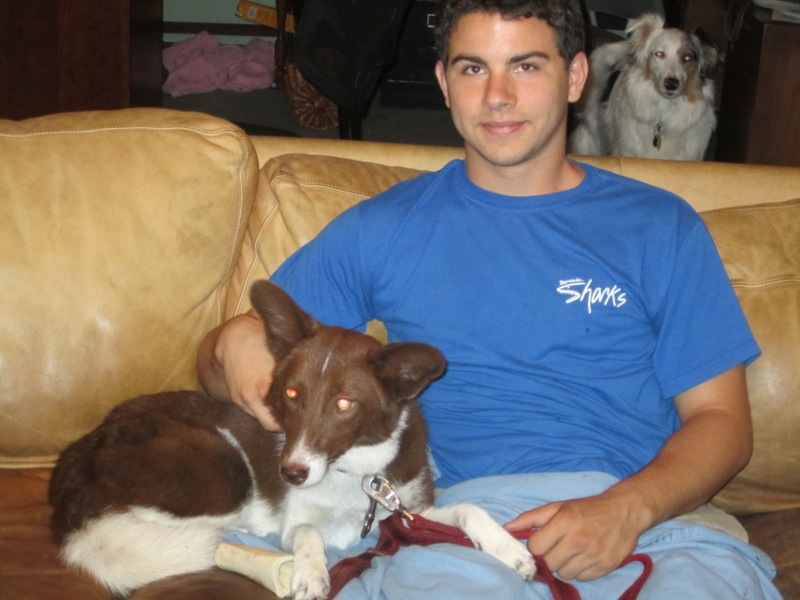 He did great work with the dog, but his most valuable lessons were imparted upon us as owners. Thanks to the behaviorist, we try not to leave for a long time without first going on a long, brisk walk (at least 20 minutes). Once we return and I am ready to head out, I calmly call her to her favorite spot, make her sit, and give her a special treat that she only gets when she is alone. I wave goodbye and that’s that. We leave a fan on (to help her feel less alone, similar to leaving a TV on for hearing pups) and have put an ottoman in our window so she can people watch, and see us getting into our cars. More often than not she is still in the window looking for us when we get back, but she is calm, cool, and collected. Perhaps the biggest piece of the puzzle comes into play when we return home. We have learned to completely ignore Spec until she has settled and sits. She is to the point where when we get home she has about 15 seconds of “OMG MOM AND DAD!! !” and then she will sit and wait for one of us to acknowledge her. Our first instinct was to give her all sorts of love and attention when we walked home – she did just spend a couple of hours alone after all – but that was our downfall. Every time we left her she would get more and more excited for our return – because to her that meant playtime, treats, walks, and belly rubs. Now we wait until she is 100% relaxed before petting and playing – and it has made all the difference. I want to encourage anyone with a dog that gets separation anxiety to formulate a plan. We do our “morning walk” with Spec to a local coffee shop – that way we get our day started with sunshine and caffeine and she gets a nice long walk in with us. 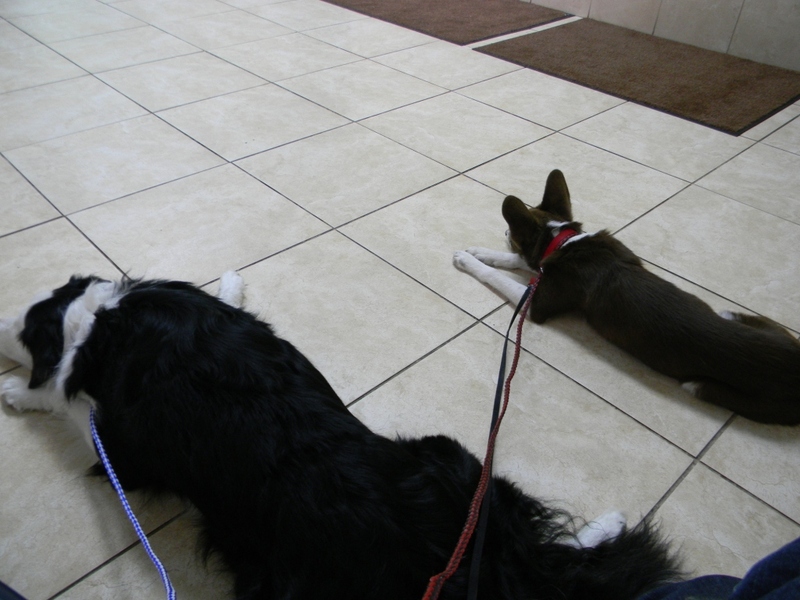 It helps her to chill out once we get back home, and helps us to have a more invigorating start to our day! We have also worked hard to let go of our own guilt and anxiety when we have to leave her. 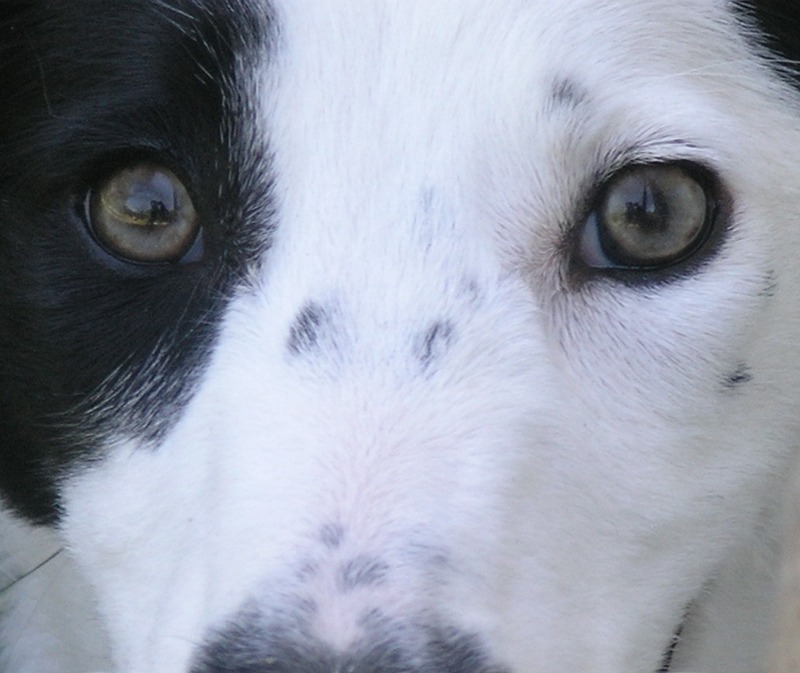 Dogs are incredibly smart, and they can sense (and feed off of) those emotions from a mile away. Finally, we always give Spec plenty of love and affection when she is in a calm, laid back state of mind. All of these things were a change for us, but they have all paid off – I can leave her for 4-5 hours at a time now without a single peep! 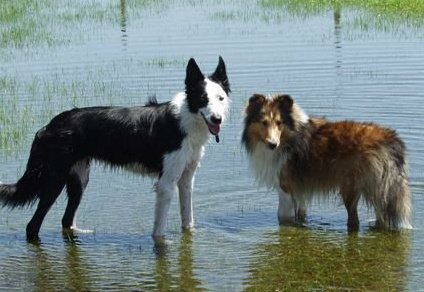 Good luck with your pups, and don’t be afraid to reach out to a professional for advice! Remember, when ordering products from Amazon, bookmark Amazon Smile and your purchase will help The Dog Liberator’s Rescue or visit their Amazon Shop that Contains all of their Recommended Products! When people describe their dogs to me, even people I have never met, for example, while I’m waiting at the vet, they will explain that their dog is “protective”. So while their dog is growling and showing its teeth at me, and trying to lunge at me, the owner writes it off and gives the dog not only an excuse for its behavior, they give the dog permission to act inappropriately by label the behavior as “protective”. 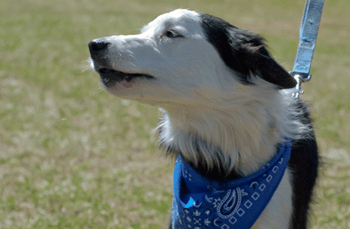 People humanize their dog’s behavior. Your Dog is NOT Protective! What is Protective? Should someone enter into my home with a knife, or a gun, or an aggressive look on their face, my reaction would be to cover my children, and get them out of harms way. I would use my body to block my children from this intruder. I would try to protect them. A dog that is standing between it’s owner and a dangerous snake, dodging back and forth to block the snake from attacking its people, is protecting. A dog that lunges at a person who is harming its human, is protecting. Scared: Dogs that growl, charge or bite strangers are not necessarily protecting you, they are more than likely scared and because you are not showing your dog that you are in charge – the dog is in charge, and tries to correct the situation the only way he knows how. Dogs that do not want strangers in their yard, home, or near their owner are dominating their property. They think they own the house, they think they own you. A well-balanced dog knows that you own him. While my bark at strangers, warning me someone is at the door, when I open the door, they immediately back off. They know that I am in charge, and I do not need them to make decisions. Barrier aggression: Ziggy would act vicious when anyone came toward his crate. Vicki explained he had barrier aggression. Ziggy created an imaginary line, and was afraid. His show of force was designed to keep you at a distance. Ziggy did not do well with strangers, however, once you met him and made friends he was fine. Put him back in his crate, and he would repeat the show! We believe that Ziggy was owner by an older gentleman. It was just the two of them. 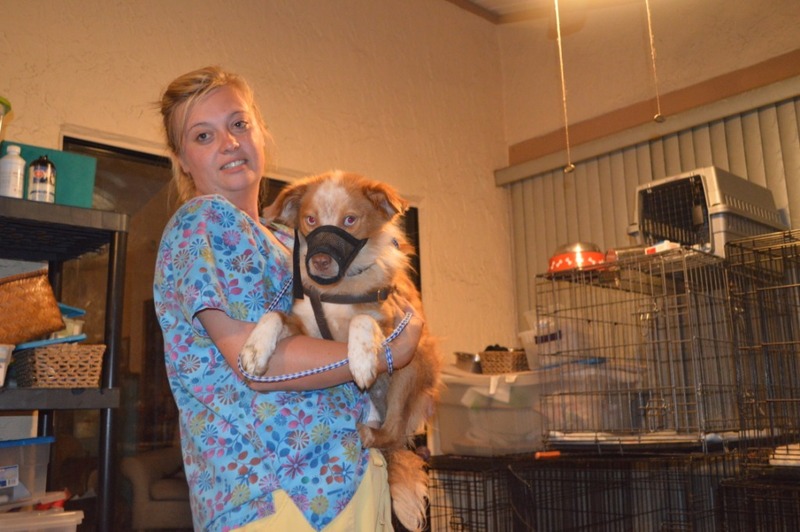 The owner had become ill, and could no longer care for Ziggy. I’m confident that Ziggy was the man of the house. His owner properly never corrected him for being rude to strangers, his owner probably enjoyed his alleged “protectiveness”. 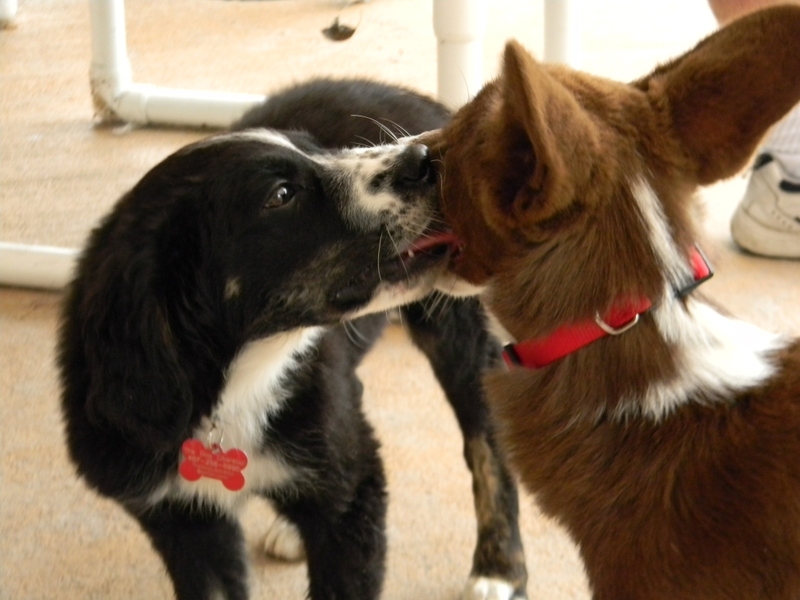 Ziggy was not protective, he was not socialized and was afraid. All Ziggy knew was that house, and nothing else. After Ziggy was adopted, I suggested that his owner keep him in his crate when company came over. Wait until the visitors were seated and relaxed. Wait until Ziggy was relaxed in his crate, and ignore him! 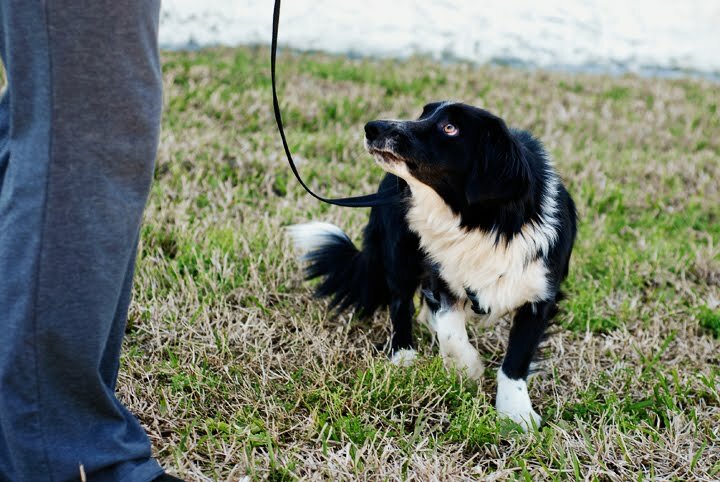 Once he is relaxed, you can release him, and present him with a treat for good behavior! It made a huge difference, but more importantly, it showed Ziggy who is the boss. 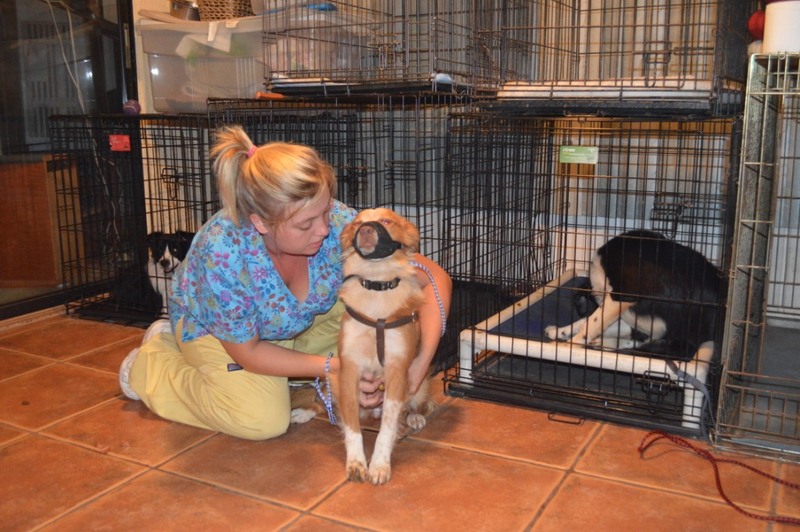 While he is in his crate, his owner is showing him that she does not need his help. She is showing Ziggy that this is her visitor, a visitor that is allowed to be in the house, and it’s not his decision to make. Today, Ziggy greets visitors nicely. Sure, he barks at the door acting like he’s going to bite your leg off, but once the door is opened, he stops. Perfect! Dogs that have barrier aggression are never adopted. Who would adopt a dog that’s lunging at them from a kennel? 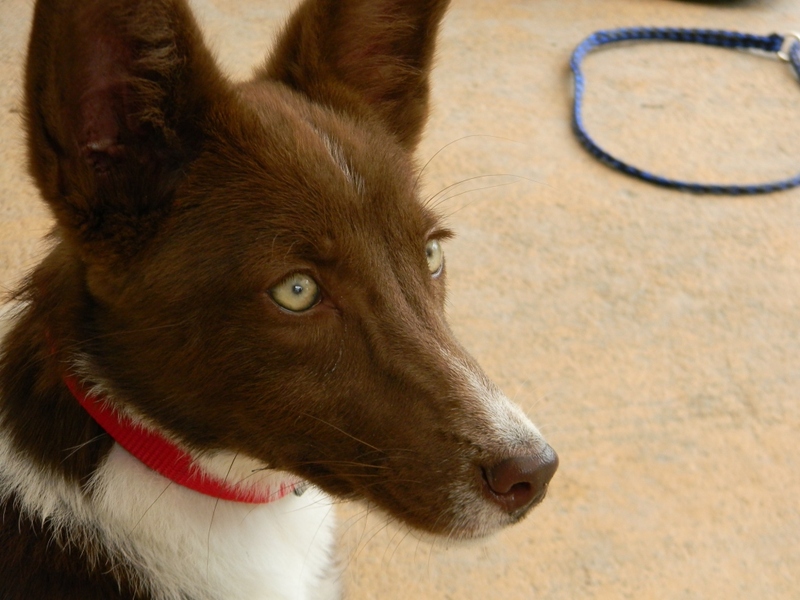 The dog is simply insecure, unsure, and nervous – not aggressive and not protective. 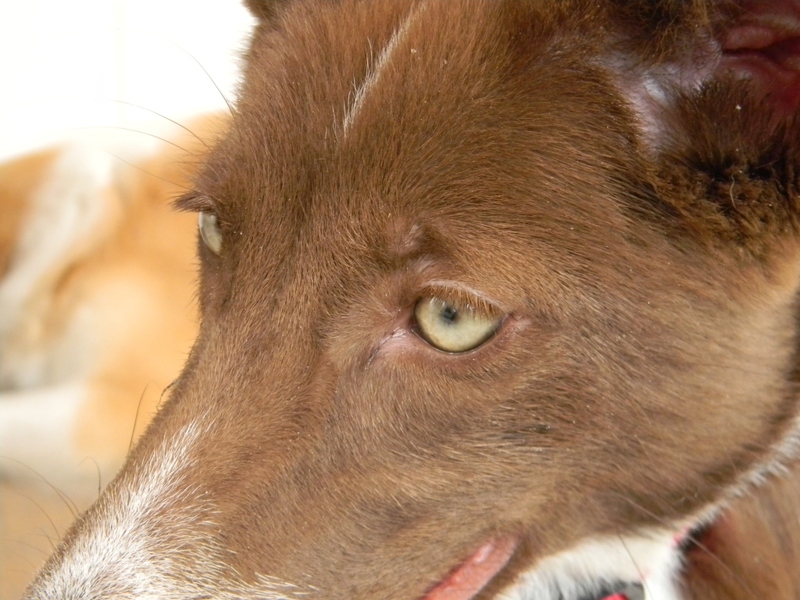 Fearful dogs: China was the only dog of mine that gave me the impression that she might nip at a stranger. I am constantly watching and correcting her. Why China? She is incredibly fearful, because she is deaf and visually impaired, but more importantly, my daughter Sarah, babies her. China is the only dog allowed to sleep with her human. Every once and a while, China thinks it’s her job to protect Sarah, and she is corrected with a simple finger point! If there is no harm being done to you, and you are not in fear of anything, your dog is not protecting you! Your dog is scared. So if it doesn’t happen in my house, it doesn’t have to happen in yours. 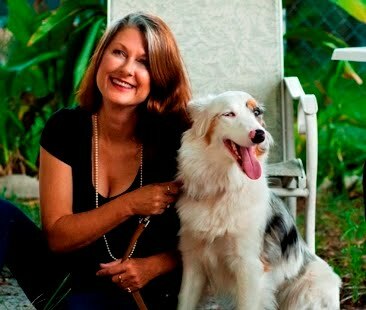 My dogs aren’t special, and I am not a trainer or a behaviorist. 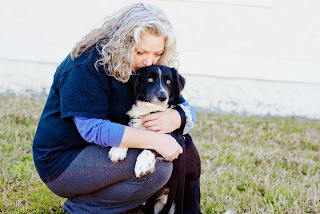 Most of the dogs I foster are broken… they have been abused, neglected, yelled at, and handled improperly – yet they don’t charge strangers in my house or my yard! When dogs come here, after a very short period of time, they learn that I am in charge. If I’m not around, my kids are in charge. All of my fostered dogs do not lunge at potential adopters who come to meet them, for if they did, they would never get adopted! So why is it that the dogs that I foster, and the dogs that I own do not show this behavior? Because they don’t need to. They know I’m going to take care of them, and they don’t need to correct the situation for me. I won’t allow it. I don’t need to be protected! A Protective Dog: In my 51 years of being a dog owner, there is only one time I witnessed a dog protecting. I had interviewed an at-home daycare when my son was only 3 years old. In the backyard were swing sets, and a lot of wonderful toys. The woman baby sat about 8 children every day. In the backyard was a huge yellow lab. The moment I went out the door to the yard, the lab tried to dominate me. She jumped up on me, and wouldn’t get down. She wasn’t excited to see me, or didn’t want to play, she just wanted to own me. I refused her repeatedly and pushed her off of me. Ozzie, not a protective dog! As we went into the yard, at one point, my son tripped, fell onto the ground and started to cry. I ran to pick him up, and the dog ran in circles and knocked me down from behind. The dog continued to run circles around the yard, each time running a wider and wider circle to gain speed, and must have knocked me off my feet at least four times. At one point, the dog actually trampled over my sons head, which made him cry even more. The owner stood in the middle of the yard yelling at her dog, and trying to get her to stop but she had no control over the dog. What I had witnessed was a very noble and loving dog, protecting it’s lamb – my son. Protecting my son from me, and a dog owner who was clueless. No matter how noble the dog’s intentions were, you can’t allow a dog to be in charge. A dog can’t understand that I’m the mother of the child. The dog doesn’t understand that I mean no harm, the dog doesn’t understand that stepping all over the child is wrong. My son Ryan was fine, just very dirty! Needless to say, I kept looking for other daycare alternatives! 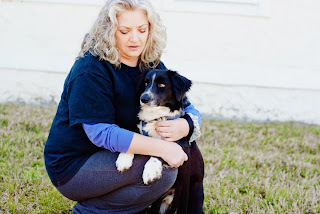 Click here to read all of the articles we have written about Shy/Fearful Dogs, Feral Dogs and Fear Biters. 08/09/13 Update: I changed Boo Boo’s status from On Hold to Available this afternoon. Her progress has been amazing! She’s seeing the vet very soon and will be ready for adoption! She is going to make someone very very happy. She is going in and out of her crate, without a leash. She sticks close to me outside. She doesn’t cower as much anymore, because I’m ignoring it. She found a stuffy toy last night, and played with it… that’s HUGE! She has found her joy! 08/19/13 Update: A few days at the vet for a much needed bath, all of her shots, and spay proved to be stressful on Boo Boo. I can’t blame her. The folks at Newman Veterinary Centers insisted that she meet new people, be petted, and get used to getting attention! Boo Boo did very well. She proved to everyone how fearful she really is, but she did it… she pulled through, and overall she had a good experience there. It took a few days for her to recover from her surgery, and feel at home again, but now she is her normal affectionate self. She adores my daughter, Sarah, and comes to me easily for kisses. Boo Boo has a long road to recovery, she needs routine, a quiet home where she can slowly explore and gain her confidence. If pushed, she will regress. Whoever adopts Boo Boo will find themselves owning a velcro dog! 08/22/13 Update: The stars all lined up properly for Boo Boo Monday night. I was told there was a blue moon on Monday, it was gorgeous. So if the expression is true, “once in a blue moon” that’s how Boo Boo’s adoption can be described! Serena Drake had come over an hour before Leslie arrived. She spent time with Boo Boo de-sensitizing her. You see, Serena had bathed Boo Boo just a few days ago, so Boo Boo was a bit familiar with her, so Serena was not a total stranger. Serena walked with her on leash, got Boo Boo to sit close to her and let her be touched, and practiced taking the leash on and off, on and off. It didn’t take long before Boo Boo actually fell asleep with her head on Serena’s leg! It was a great exercise for Boo Boo to learn to trust someone she didn’t really know. Then, the time came for Boo Boo’s new family to appear in Act Two! I asked Leslie to sit in “my chair”, her husband Jack sat next to her, Serena had Boo Boo on leash (Serena was on the floor) and I vanished! I didn’t want Boo Boo to use me as a shield. When I returned a few moments later, I sat far away from everyone and Boo Boo was on her own to make her own decisions. I gave Leslie and Jack treats, and much to my surprise, Boo Boo approached Leslie, sniffed her hand, and licked it! Then, Boo Boo and Leslie made eye contact and they stared at each other. “She is so beautiful,” Leslie said. And something happened. The connection was made. 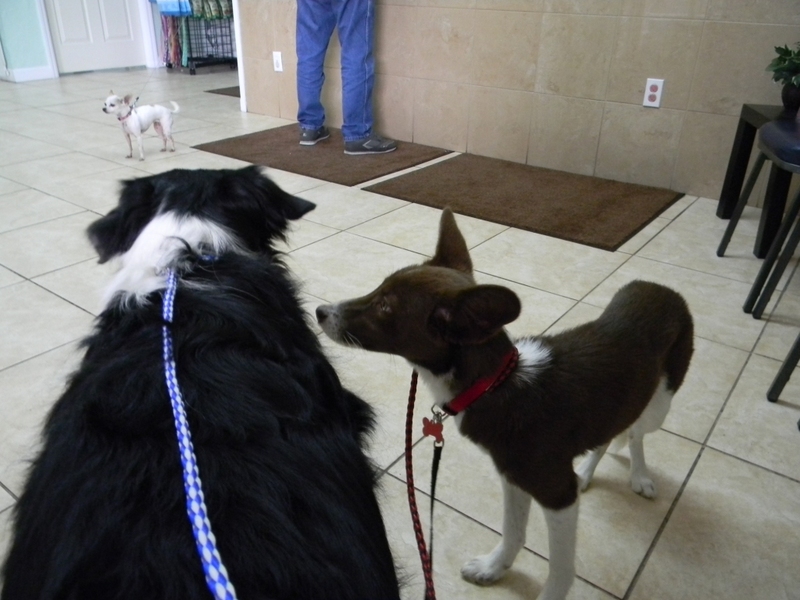 Boo Boo took the treat, then Jack presented a treat as well…. wait for it…. and Boo Boo took the treat from Jack’s hand. The meet went perfectly. Boo Boo was not afraid, she was curious, she was calm, she was… perfect. We completed the adoption… now to get Boo Boo through the yard and into Leslie’s car. That again, was uneventful. Boo Boo was afraid to get in at first, and I picked her up. Did you hear that? I said I picked her up! She did not snap at the air warning me not to, she let me pick her up. On the way home, while in the back seat with Leslie, Boo Boo gave Jack, the driver, a kiss. Once they arrived, she and Leslie went for a walk, and as of late yesterday… it’s a match made in heaven! Boo Boo still has to learn to get along with Leslie’s cat. 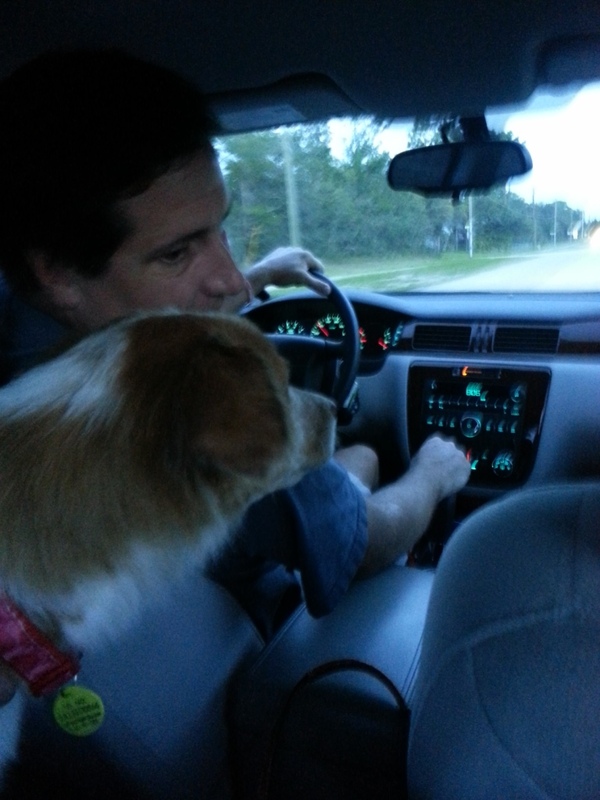 She is doing very well with her new Dad, Jack, and I just love getting regular updates! Woo Hoo Boo Boo! Oh, and her new name is Bella! 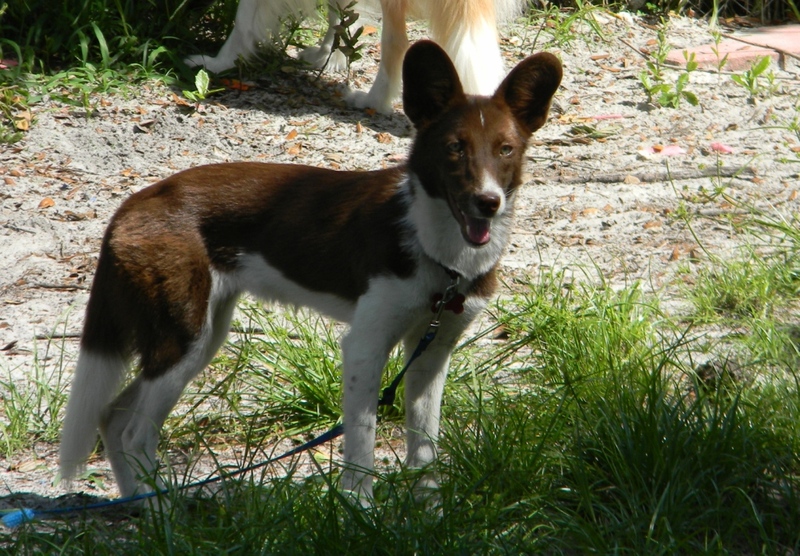 She looks like an Aussie, but I’m not convinced. 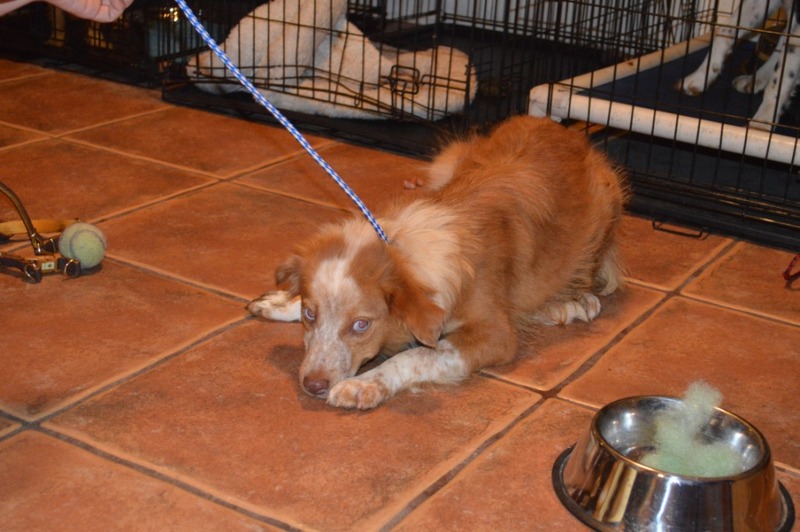 She does have a tail, and that happens, but there’s something about her face… I see Nova Scotia Duck Tolling Retriever… is that rare? Yes, but I still see it! And what about those blue eyes? Note: I will retract the Duck Tolling comment below! This young girl has totally shut down emotionally. 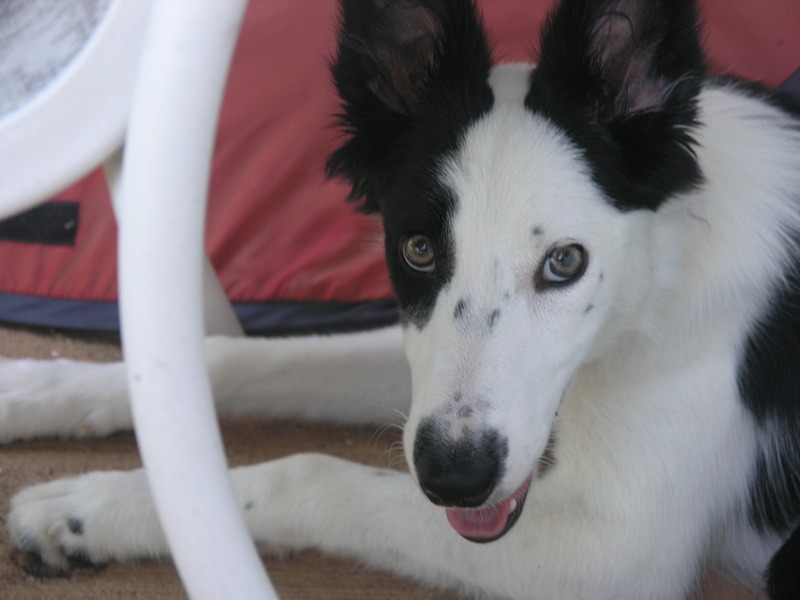 She would avoid eye-contact, freaked out on leash, and freaked out when she entered my home. She was happy to go into her crate, and she is resting. Eye-Contact, is a great thing! She did make progress and took hot dog bites from my hand. After a while, she did take the bone I offered her, and ate some kibble, but she had to feel safe first. This morning when I made eye-contact with her, she wagged her tail! That’s huge! I’ll give her a few more days so I can earn her trust and let her come out of her shell… on her own time. Emotionally, she reminds me of Les Paul. I’m sure she’ll come around. You can see more photos of her on Facebook. 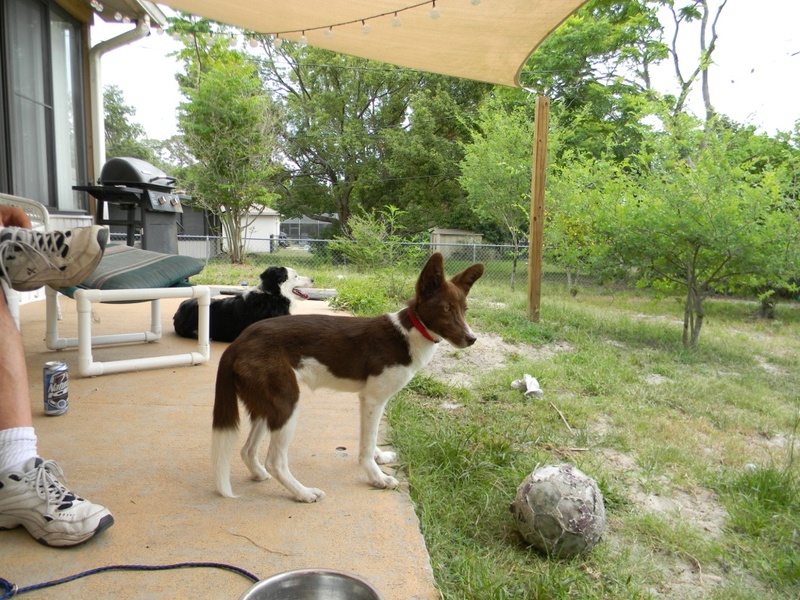 She will see our Vet on Monday, and all of these dogs are currently being fostered in Deltona. Special thanks to Pilot, Ed Golly and his team of volunteers, to Becky Harshman who coordinated the rescue, and to all of our wonderful supporters who donated to our Veterinary Care Fund. This is why we need and depend on your help! Seriously? I don’t want to come out! This piece of information makes total sense. This little red girl is our Brittney’s Mystery. So, I called Brittney and begged her to come over last night. She did! You can see some of the photos on Facebook. Boo Boo refused to come out of her crate, and I had just fed them a large meal with their capstar and de-worming medicine… it was time she goes outside. The last thing we want to do is set a dog up to fail. Without any history, we have to be careful. Boo Boo does not do well on leash so I wanted a harness on her. Brittney slowly got Boo Boo out of her crate, we muzzled her so that we would all remain calm (a Mystery move!) and we placed a gorgeous leather harness on her. Realize that this is not something I would do while home alone with my two children! I needed Brittney! It worked! Out in the back yard late last night, while it was dark, the pup licked Brittney’s hand, I got to hold her for a bit and give her a massage on her back, and yes… the pup rolled over on her back, exposed her belly, thus inviting Brittney to rub her! It was awesome. This morning, again, she wagged her tail when she saw me. The harness was there for me to leash her up, and we went outside. No Problems! One thing I forgot to mention is that this pup is in heat. Which puts her at 8 months of age. If she continues to make progress, we’re going to the Vet on Monday! Do I think that sharing her story, and telling the truth about her will reduce her chance to be adopted? Maybe! But it’s the way we do things at TDL. We are honest about our dogs, their issues, and we know the type of homes they need to be successful. Boo Boo really likes it when Petunia comes close, she wagged her tail, licked Petunia in the face, and rolled over to show her belly. Being with other dogs will be good for Boo Boo. What I can tell you is that I never saw the dog have the desire to bite. She is just scared. She is Les Paul scared, she is Shy Sharon scared, she is Brittney’s Mystery scared. She doesn’t know if we are nice people, or if we want to eat her! So, let’s move on, give this girl a chance, and hope for the best! 08/04/13 Update: I didn’t use the muzzle this morning. When I walked out to greet the pack, she stood up and was very happy to see me! She went outside on leash with little resistance but isn’t walking around and investigating. I hope today she will get a bath. That’ll be a scary experience for her… but she has to have one. ACD/Aussie puppy is getting fixed! 08/05/13 Update: Last night was amazing. Brittney came over, and lured Boo Boo out of her crate. She wanted Boo Boo to do it on her own. This woman has patience! I was very impressed with Boo Boo’s progress. She has joy in her eyes now, and her trust factor has improved at least 50%. I video taped a lot of the session and took a lot photos that can be seen on Facebook. But one mystery is solved. 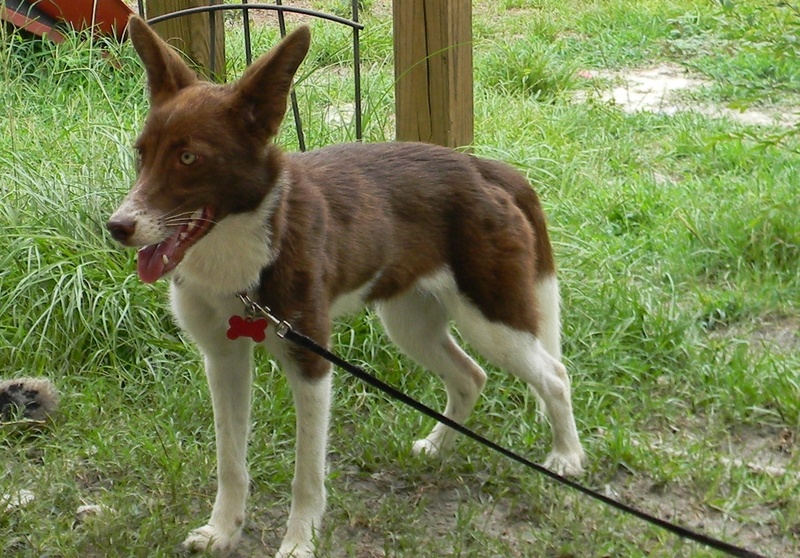 Brittney sees Red Heeler (Australian Cattle Dog) and Aussie in this girl, and she is spot on. I retract the Duck Tolling Retriever comment! 08/06/13 Update: Boo Boo continues to make a lot of progress. She will let Sarah put a leash on her, she will go out of her crate, into the yard and come back into her crate for my daughter, Sarah! Woo Hoo! 08/08/13 Update: Well, isn’t this a kick in the pants? My daughter, Sarah, has been letting Boo Boo out every day. She can get her out of the crate, put a leash on her, let her out, and bring her back in! Boo Boo is walking with much more pride, and doing her business outside like a good girl. Her heat cycle is almost over. She due for a much needed bath, and she will be ready VERY soon to go to the vet. She’s doing great! 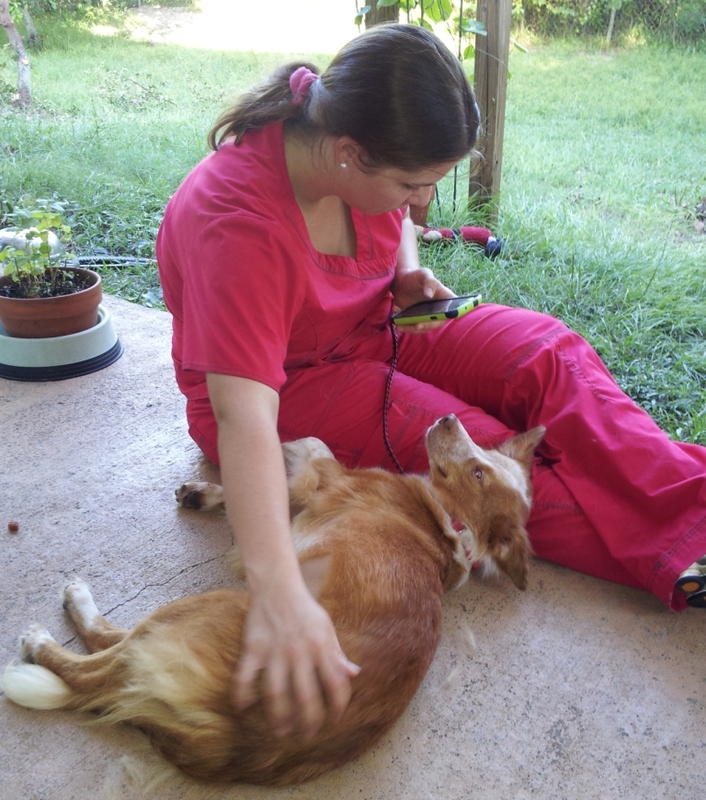 Adoption Update 10/03/12: Hey Gisele! Hope all is well! 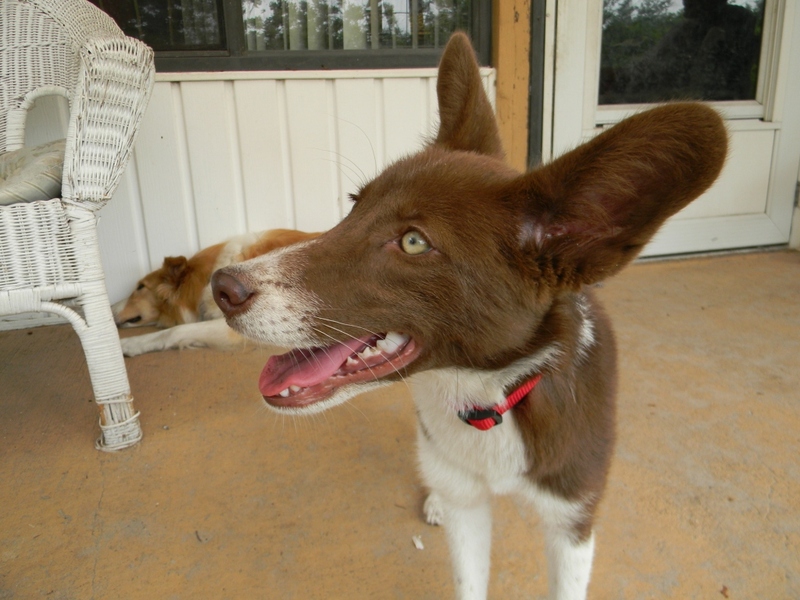 Indi is free and clear of heart worms, he was just tested a few months ago at his annual. He is still coming out of his shell, he has started rolling on his back to get belly rubs and pushes us with his nose for attention. He is very affectionate, but only in certain rooms. I think it is a comfort thing. He loves his sister to pieces, he naps with her constantly and followers her around the house. You can tell by his body he is no longer on edge, doesn’t jump when you touch him, he is finally feeling safe and relaxed. He is such a good boy. Gilligan is just a young boy. 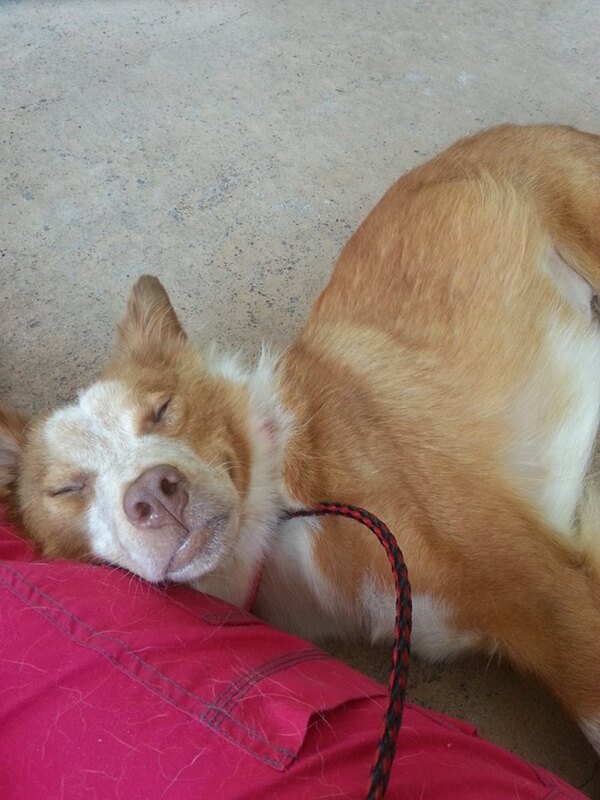 I saw a photo of him sent by Hope Master at Floyd/Rome, GA Animal Control. He was laying down. Hope said he was scared, but they’re all scared. 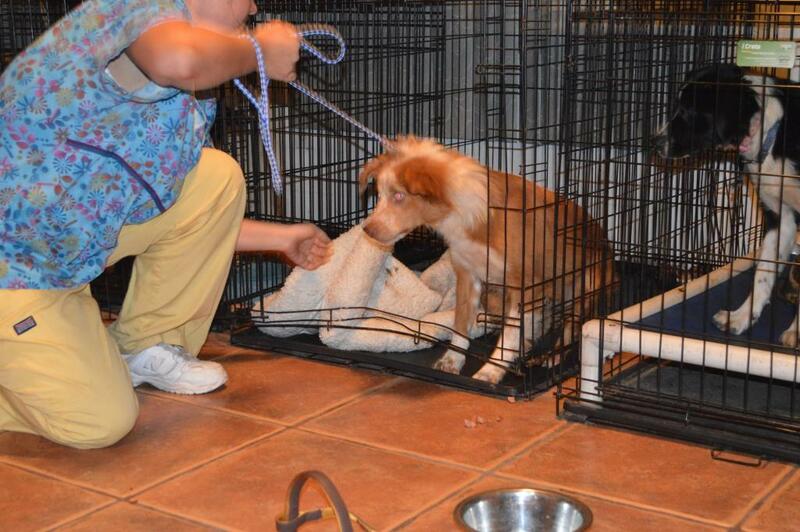 So, Megan goes to pick him up off of transport last night, passes him off to Melissa, the CSR at Val-u-Vet. He was terrified, more importantly, he had to be picked up off the floor, because he’s too scared to walk. I gave him some food, water, and yes… a brand new beef marrow bone, put him in a comfy crate with a Kuranda bed, and left him alone. I thought that by this morning, the shell shock of being nailed by animal control, (possibly with a catch pole), thrown into a pound, then transported across the state by various people in various cars would wear off. It usually does by the morning, but not this morning. Nope. He sat in the corner of his crate, would NOT come out, would not have eye contact, trembled so bad I thought his fur would fall off, and he would not come out. Not even with hot dog bites as a bribe. Nope, this little boy is terrified. 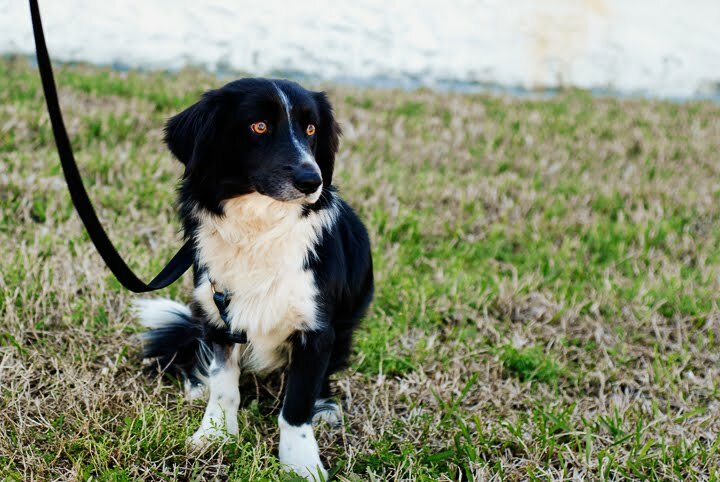 Looking at his little short legs, I don’t know what he’s mixed with, but there’s a lot of Border Collie in this cute little guy. Is he a Borgie? Wouldn’t that be nice, to have another Borgie!!! So, I put a leash on him, and figured, if I start walking, he will too. After all, I am the pack leader right? Wrong again. He slid across the floor and would not get up. Oh boy. I picked him and put him the car… he flopped. I brought him to Val-u-Vet for his shots and neuter. I called them, told them I was out back, and I needed George! George came out to meet me and Gilligan, wrapped him up in a blanket and carried him to a crate. On the way home, I remembered the trembling, and I haven’t seen him “walk” so I called Meagan and asked her if she ever saw him walk, her answer was no. I asked her to call the transporter, and he did say he saw him walk out of his crate for a second, then he plopped onto floor. Melissa agreed that he did not walk, however, he did stand up briefly to pee. Is the trembling be because of pain or fear? I had a flash back of Nutella. When I first got her, there was no doubt in my mind that if I would’ve stuck my hand in her crate to get her out, she would’ve nipped me. I know that look when a dog is thinking about “fight or flight”. He could of nipped at Megan, and Melissa said she had to literally pull him out of his crate, so the opportunity to nip was there. He could’ve nipped me this morning easily, but he didn’t. This tells me he wants to trust, but just can’t. He doesn’t want to hurt anyone, but he’s so afraid to be hurt. Then I remembered Shy Shannon and Goldie Hawn, neither of them had ever been outdoors. Maybe he’s afraid because he’s never been outside. So, tomorrow he will be examined from head to toe. 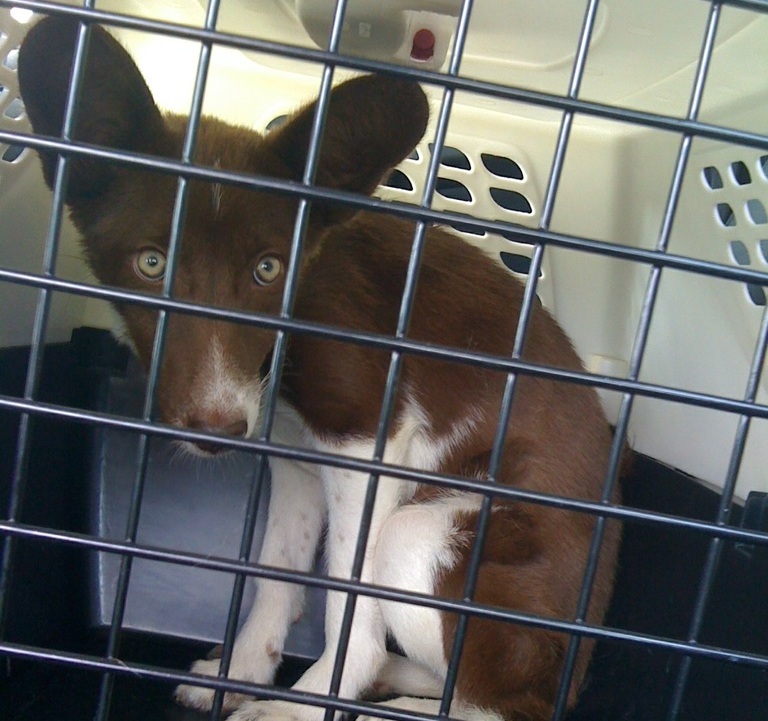 I’ve asked the staff at Val-u-Vet to let me know if anyone catches him stand up in his crate. But the question remains, what has happened to this little boy that he is too afraid to walk or stand up? He shakes when you touch him. Note: The vet did call me with an update that I really didn’t want to hear. He is heartworm positive. 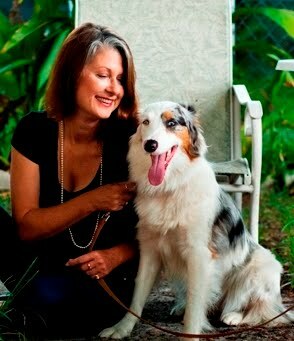 Doxy and Prednisone will be started right away, and he will go on Heartgard March 1st. The dogs that I’ve rescued that were this afraid, I believe, were beaten because they were not house broken. But once you scare a pup to death, every time to go near the animal, he urinates out of fear. Doesn’t make sense, does it? I don’t know what’s happened to him, but I’m sure we’ll find out… eventually. Gilligan is one of many who have been abused in some way, including Nutella, Bailey, China, Shannon, Tuck Me In, just to name a few. 02/12/11 Update: Two things, I love being wrong, and we named him right. He definitely went on a three hour tour and got lost. This little boy’s problem? He’s been attached to his owner, had an incredible dependent relationship with his owner, and doesn’t know what to do now, he’s lost. We believe he got up every morning, jumped in the truck, and went to work every day with his owner, spent very little time outdoors, except maybe to do a tinkle, and spent the evening watching tv on the couch! He is fine with the other dogs, he doesn’t really acknowledge them. He spent the night sleeping between Megan and my daughter Sarah on the couch, and has no desire to play. So while I don’t feel he’s scared because he’s been on his own and unsocialized, I think he’s scared because he’s only known one owner, one apartment, one truck, one routine, and he’s not adapting easily. He is absolutely not going to growl, show teeth, or bite anyone for any reason, he’s really a very gentle boy that loves to be held. He has not wagged his tail yet, therefore, he has no joy, but we all know that’ll happen in time. I’m going to be introducing him to different people just to see how he reacts. He will tell me who his former owner was. Once we know that, we can move forward to finding him the right home. 02/14/11 Update: Paul Pipitone has offered to foster and rehabilitate this little boy, and we jumped up and down screaming with joy! Updates soon. 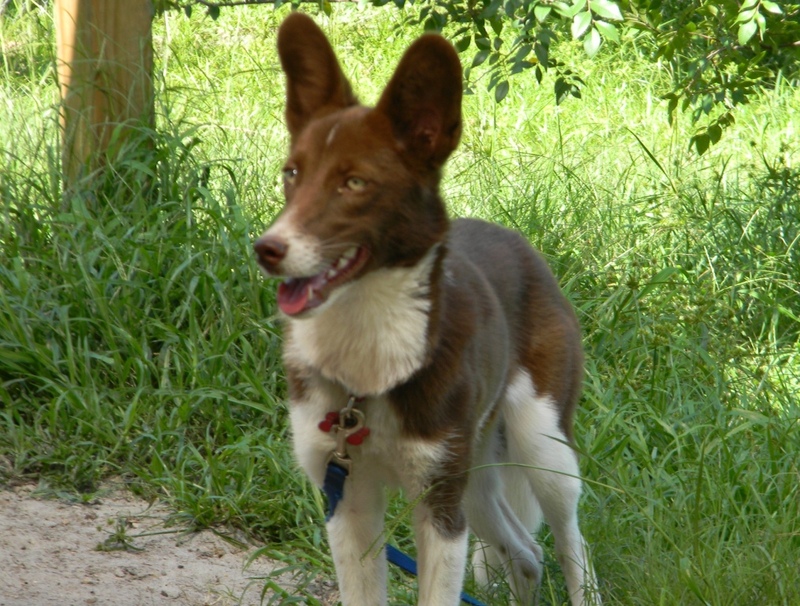 02/15/11 Update: After reflecting Gilligan’s time with us in rescue, I’ve realized that at first, he was terrified of being at the pound, then transported by multiple strangers, then taken to the vet, neutered and vetted. But, I think when he saw me, he really shut down. Was it my voice? My long brown hair? I triggered something in him that really freaked him out. He did well with my dogs, but to be honest, it was too soon for us to expect him to react. Maybe he was still sore from surgery, I just don’t know. When we put a harness on him, instead of a collar, he did better. When he left my home, and went to Megan’s, he spent a few days just resting. Megan’s house is very quiet. When Paul came to pick him up, Megan explained that he was just starting to get better with regard to his fear. Paul is providing updates daily, and I’m confident that he has the experience to explain Gil’s behaviors to us. Gil is lucky to have Paul, and so are we! Gilligan is doing really well on a walk! 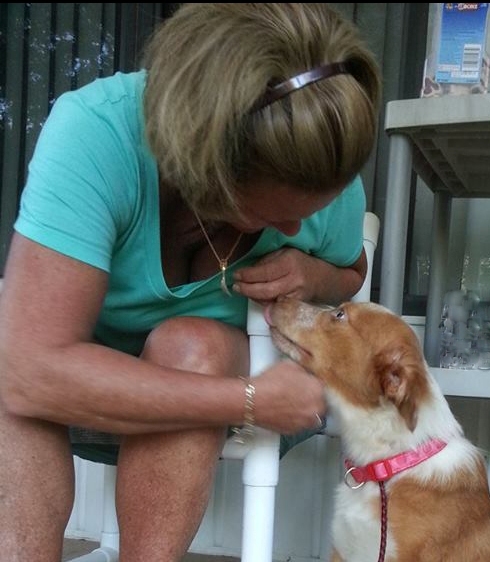 He WAGS HIS TAIL and gives Paul’s neighbor a kiss! Megan and I both believed he was owned by a young man. This is amazing for Day 1!!! Thank you Paul! A lot of improvements. Gilligan seens more relaxed, he eats, and takes a treat from Paul’s hand. 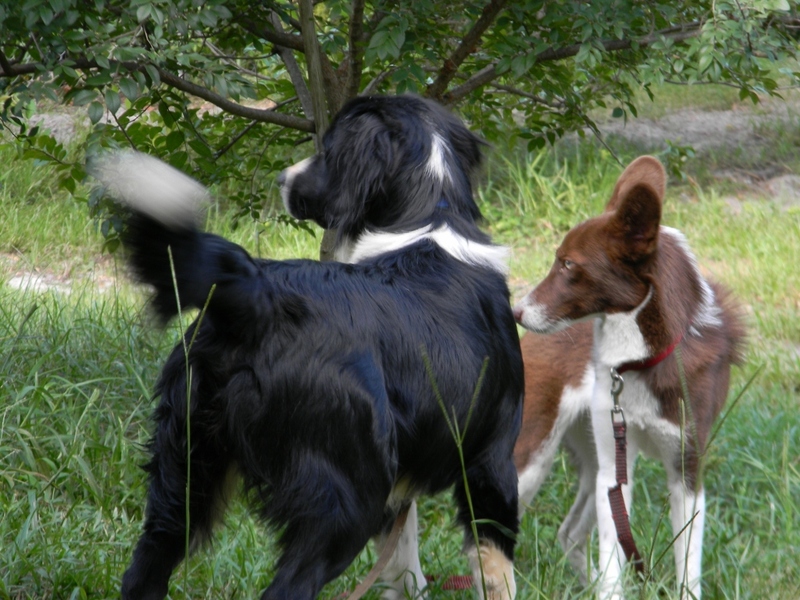 Gilligan, now Skipper barks, is attentive, and learns to trust. Gilligan, now Skipper is doing awesome! 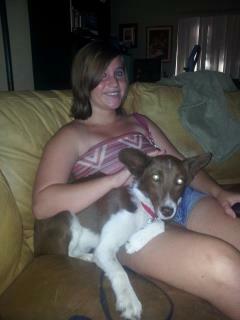 Skipper has an adoption meet, and plays with Roxy!